Amazing video, Rich was flying the stolen Dash 8 like a pro. Hard to believe he could do this on his first flight, even with some flight-sim experience. Apparently his escapade ended when he crashed the aircraft on a small island. Wonder why he chose this spot for his suicide, where he could easily have killed someone, rather than just dropping it in the sea? Thanks jeff, I was hoping you would have some comments on this story. I read today about another fascinating story about a 727 that was stolen in 2003 from Angola and never heard from again. Nobody knows what happened to it. 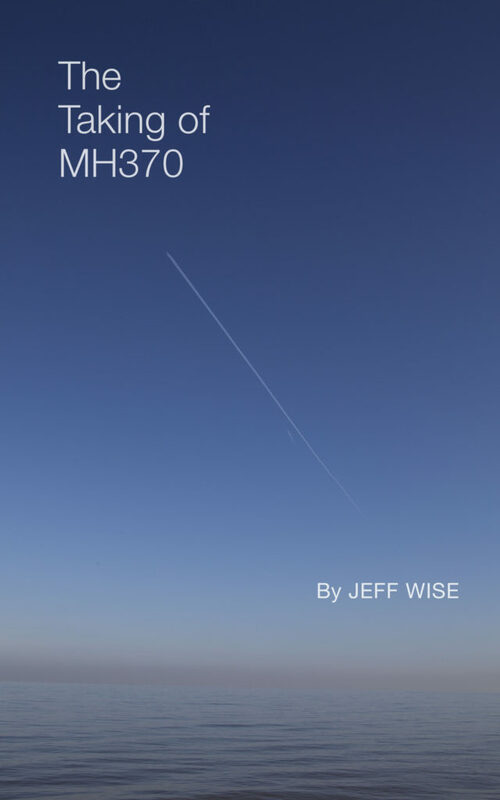 Thought maybe you would list it here too as it creates a lot of interesting thoughts for me about both this incident and MH370. I never had a pilots license but when I served in the military as ground crew plane captain, I spent enough time with our turboprop aircraft to have been capable to go through start-up and take-off procedures on my own if I wanted to. I was big into flight sims back then too, so knew a lot about instruments and navigation. With sim realism (cockpit modeling) having come a long way since then, I’m guessing one could get very familiar with specific aircraft type. I’m also wondering if engine start-up would be the hardest part to learn, since sims may not focus on that aspect to much? Looking at the available video from yesterday, I would say it more luck than talent that kept him aloft during all those crazy stunts he was doing. Extremely fortunate outcome considering the local population density and air traffic. @Billy, That’s a great story. I should add that in. As you are willing to submit as evidence that United States officials suspected a Southern Indian Ocean crash due to certain hydrophone readings, are you withdrawing your prior hypothesis that the United States shot down the aircraft? Surely the U.S. military would have known where the aircraft was, if it shot it down, and so wouldn’t need to rely on hydrophones—no? I say this because it’s highly unlikely that such data was leaked, by a rogue actor, as perhaps the blogger you are quoting suggests, rather than being released intentionally. It’s my understanding that the U.S. underwater sound surveillance system is so secretive it’s data is encoded before transmission and can then only be read in a secure facility. Monopolizing hundreds of passenger and crew in order to gain access to the cockpit has never been a notable theory. If control of the plane was siezed from the pilot(s), by a hijacker(s) with pilot skills, it is far more likely the takeover was instigated by a trusted individual with either access to, or knowledge of, entering the cockpit without immediate suspicion. If this new information narrows the time frame, the implication of Captain Zaharie would need to include either an already locked out co-pilot, making everyone on the plane aware of the hijacking or Captain Zaharie with a full agenda to flawlessly execute within 49 seconds. “Sources are now coming forward with what I concluded in Nov 2016: The six coordinates found on the captain’s computer with takeoff at KLIA and ending in fuel exhaustion in the SIO were all from the same simulation session. These “sources…now coming forward” are from the Geoffrey Thomas article (linked below). without identification can equal precarious information. while the other “source” had no accorded description. I have been reading and listening to French NoK Ghislain Wattrelos recently and he uses the French word ‘abattu’ (past tense of ‘abattre’) quite a lot in his interviews. ‘Abattu’ could be loosely translated as ‘shot down’ but more accurately means ‘felled’ or ‘brought down’. The word ‘abattu’ was on my mind when I wrote up my previous comment. In the case of MH370, instead of ‘shoot down’ I think the better English word is ‘brought down’. ‘Shooting down’ implies a shooter having to take aim. The term ‘brought down’, however, could be an automated process, not necessarily involving a ‘shooter’. For example, if an airline went off the official flight plan filed with the authorities, there may be an automated mechanism designed to takeover the flight and direct the plane towards a predetermined piece of uninhabited terrain or body of water, or an autolanding at an airport (see SAFEE and SOFIA, 2 european initiatives along these lines). As to how exactly this automated mechanism is triggered is probably a secret that only a few people know. As I have consistently maintained, the initiative to hijack the plane was made probably by the Russian secret service. They used an existing procedure or protocol designed to handle hijacked airlines for their own nefarious purposes by either letting the aircraft run out of fuel and crashing it, or forcing the authorities to ‘bring down’ the plane, and letting the US take the blame either way. This would pit US against China and take attention away from Crimea, and pressure away from Russia. The US however, decided to dictate media coverage on their own terms thus covering up the horrifying reality of the incident and buying some time to figure out the best way to disclose the truth. The true location of the crash site may or may not be known to the US and allies. But they probably know exactly how it ended up there because they may very well have had a role in it. Until recently, I used to believe the official narrative about the plane having crashed somewhere along the 7th BTO arc. I ignored, and was not curious about other anomalous details that pointed to a different location for the crash. Now that the BTO arcs are off the table, these other details, such as the Curtin ‘boom’, have become more significant. If the Curtin ‘boom’ is indeed the sound of MH370 crashing close to Diego Garcia, the US Navy may have caught the sound on their hydrophones and may know the approximate location of the crash. I choose to write my propositions as clearly and as simply as possible so that I can get my head around what those propositions entail. Often, I don’t bother to support them, and I discard them as easily as I change soiled socks. I write this as much for myself as for an outside audience, and my intention is to get at the truth. This is why, despite my recent change of opinion of Jeff Wise, I will always be grateful to him for allowing me to write on his blog. Opinion of Captain Zaharie’s guilt requires negating the factor of his clean background check by investigators It would also require a uniform invalidation for the clean background checks of all passengers and crew. The subsequent distinction of guilt between pilot(s) and crew would then be identifiable only by lacking ability to fly the plane as they all had the potential to access the cockpit. A crew member could help facilitate the process of a skilled pilot gaining entry to the cockpit. The other distinction would now involve two individuals incapacitating two other individuals, rather than one individual incapacitating one other. “… For example, if an airline went off the official flight plan filed with the authorities, there may be an automated mechanism designed to takeover the flight and direct the plane towards a predetermined piece of uninhabited terrain or body of water, or an autolanding at an airport (see SAFEE and SOFIA, 2 european initiatives along these lines). Not sure that the remote control system needs a mechanism or is even built into the aircraft’s flight control software. As all modern passenger jets are fully controlled by the FCCs all the elements necessary to remote fly them are already available. All that is needed is a way to use the Satcom link to download the uninterruptible auto pilot software (UAP) to the FFCs, using something similar to an SQL injection, for example. Once the UAP is installed, the Satcom link would be used to monitor and send control messages so the plane can be landed at a suitable safe destination. The benefit of this approach would be that it is virtually impossible for anyone to discover exactly how the UAP works and this would make the system effectively 100% hacker-proof. This system could be a real life saver in situations where pilots become incapacitated, as well as for its intended use in sky-jack situations. I eagerly await your new article…the Seattle incident is fascinating has a number of MH370 parallels in my view. @TBill, Thanks for that link. I suspect a lot of people don’t realize how granular the latest flight sims are in their level of realistic detail. It seems to me that when Ghislain says “abattu”, he really means “shot down” as in “intentionally shot down by a missile/explosive device of some sort”. However, I’m no linguist, that’s just my personal opinion and he could use that vague wording to leave some mystery behind what he’s really thinking about. Yes indeed for example the PMDG B777 model is very near professional grade. It is not a “game” unless we are talking about a game that gives near-realism to all aspects of conducting a commercial flight as a pilot. Starting right from the airport gate you have to go through the cold start-up from scratch. I mean, I mostly skip that part and just take off, but cold start is part of the program. ACARS could do that. It can already upload a new flight plan and make it active – the pilot has to approve it at present, I think, but there could be an override ‘exec’ flag. Download the UAP software using ACARS, make it active and the rest of the controls read-only, disable all comms, then upload and action a new flight plan. Maybe you could you also open the bleed valves? Only problem would be the pilots desperately turning breakers off in an attempt to disable it. Maybe the lack of ACARS and other comms info in the logs after IGARI is because it would have shown what was really going on? Or could the satcom have been switched to another satellite during that time? Then back again at 18.24, hence the re-login. Small jet crashed into house killed pilot (husband) who apparently was targeting his spouse. @Rodney Small, as much as I may believe a stowaway or passenger aided in the disappearance of MH370, the Neon Nettle, is not at all a reputable news source. Please google Neon Nettle and hoax and you will see that Snopes and Politifact both discredit it and Wikiepedia lists it as a “fake news” site. @Cliff G., thank you for your response. I do find your posts quite thought provoking–even when I disagree, or vehemently disagree, with them–and hope they continue. I admire your willingness to commit thinking to paper and the same willingness to discard that thinking, though at times the result may seem like most elegant trolling! As for the remote flight system you mention, that seems to be the hottest button, and one I cannot speculate on other than to say, it would certainly simplify on-board logistics (!) and perhaps only require someone to bleed the plane of its oxygen during a wider, induced systems outage. It could also explain the rapidity and severity of the turn-back. But as I said, that seems to be a system that people nearly come to blows over–more so than the plane’s destination. As for your opinion of Jeff, I must have missed than and am sorry for it. I find his stewardship of this blog to have been terrific despite its difficulty, allowing fo quite a wide breadth of opinion you’d not find elsewhere while still remaining sensible and coherent. It’s rare to find such divergent opinions AND such civility in post comments anywhere. Not sure why this very old idea is being dredged up again? Probably just part of the ongoing Operation Chaos, which has surrounded the MH370 affair since day one. @TBill, Thanks for that link. I wonder if it’s a copycat crime. Pretty ridiculous of the police officer to say “We can only speculate what the motive is behind it,” given that a domestic abuser was clearly trying to murder his wife and child. I have seen no reference to prior mental troubles of the Q400 “pilot” except obviously when he was in the aircraft he admitted that on the radio. Everyone else seems to say complete shock. I realize FBI is not yet ready to disclose evidence. We are kindred souls on this one. Trying to open dialouge of valid information that is unfamiliar, or information that may have been unjustly cast aside, remains challenging. Theoritical discussion has not been a popular application. Shaking my head from discussion on VI’s about the “Chinese Matryrs Brigade” email. I had not read, only discussion of it until today when @Nederland posted the English translation. was an alleged prediction the plane would never be found. Perhaps I read it too quickly, nowhere did I see a statement of the plane never being found. I am confused how that translates to a revelation, of the plane never found. The above statement, DOES appear as a very accurate revelation but was ignored in discussion. The statement that did receive the attention was not nearly as profound or even accurately portrayed. I have sent an email asking for confirmation. Without truth, they should be publicly crucified for putting out this information. @Susie, This does seem outrageous. But I wonder if the point they’re trying to make is to mock Pakatan Harapan for claiming that they could find MH370 within their first 100 days of taking power. That is the way it appears to me but without a disclaimer it should be viewed as media malfeasance and they need to be called out for it.